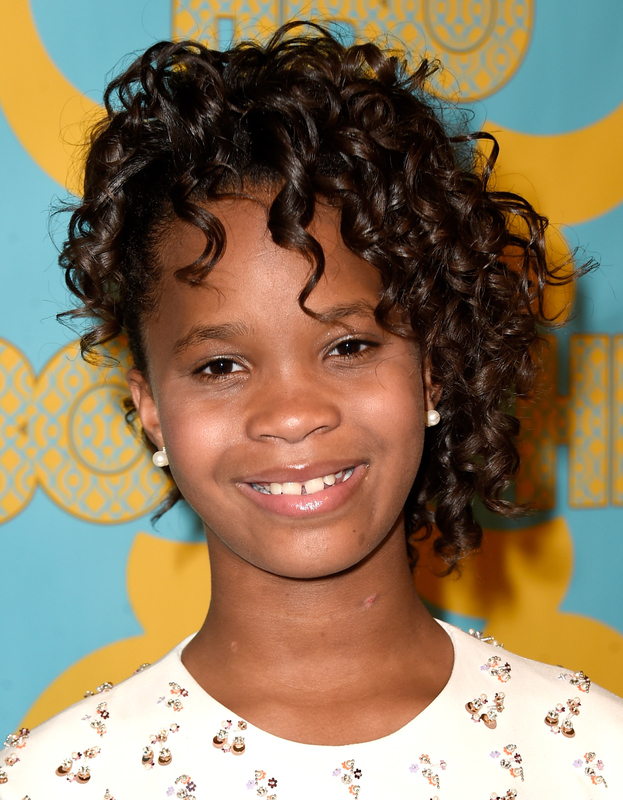 Quvenzhane Wallis Is Writing 4 Books, Because What Can't She Do, Really? She recently inked a deal with Simon & Schuster, and now Quvenzhané Wallis is writing four books to be published over the next three years. The 12-year-old Annie star already holds the honor of being the youngest Best Actress Oscar nominee, for her performance in Beasts of the Southern Wild at age 5. The wunderkind will soon add published author to her list of accomplishments, making her one of the youngest writers on record. Wallis' publishing history officially kicks off in January 2017, when the first part of her Judy Moody -and- Clementine -esque trilogy hits store shelves. The series will center on Shai Williams, a 3rd grade student "who has a flair for the dramatic," much like Megan Jo McDonald's young heroine. The second and third installments of Wallis' trilogy are slated for release in Fall 2017 and Summer 2018. Coinciding with the release of the second part of Shai Williams' story, Wallis is also set to publish a semi-autobiographical picture book. The currently untitled work "follows a spunky young heroine who is very much looking forward to a night out with her mom at an awards show. The duo has a grand time getting dressed up, riding in a limo, and walking the red carpet." Who will illustrate the books remains uncertain. The Huffington Post is calling Wallis the "World's Most Accomplished 12-Year-Old," and they obviously aren't far off. Proving she's wise beyond her years, Wallis observed, "Reading is very important ... It allows people to form a visual experience in their minds of what is going on in the story. I hope all readers enjoy using their imaginations along with me and take a journey into my books." I'm sure we all will, Miss Wallis. I'm sure we all will. Keep an eye out for Wallis' imaginative fiction journeys beginning in 2017.